To switch the Chat function on, on your People® Website, go to ‘settings’, select ‘Mobile’ and put a tick in the box next to ‘Chat in use’. When you have switched this on, and downloaded the app you will see the chat option in the menu. 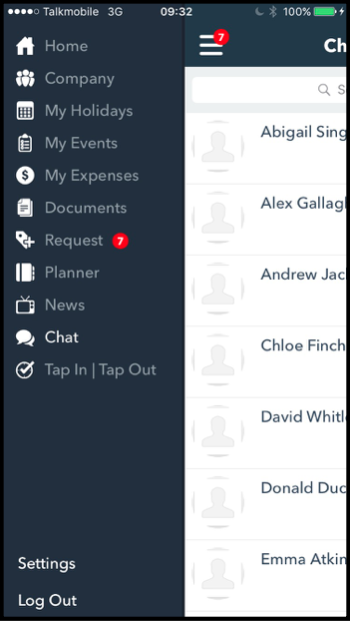 You can either select the chat option within the menu, this will show you everyone in your company that you have the option to speak to. 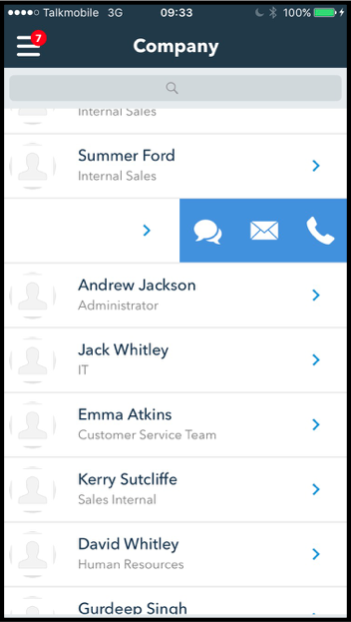 Alternatively you can go into the ‘Company’ tab, within the app, and swipe against the person you want to speak to. Please note this will only allow you to do so against the employees you’re able to speak to. Here are the rules for who can talk to who on the chat. Administrators - Any employee or manager within the company. 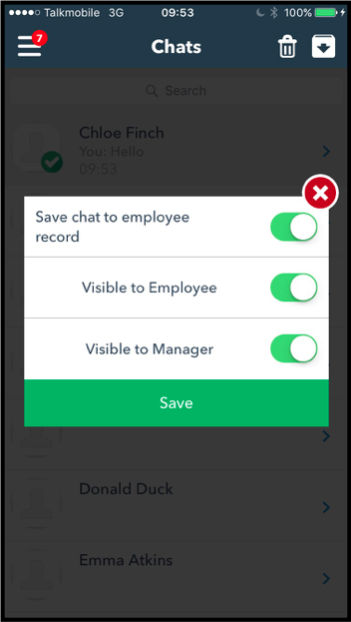 It is possible to save the chat on the employee's record, then the manager and administrator can download it. To do this press and hold the specific chat in the menu and a screen will pop up asking you who should have access to the document. Please note the option ‘Visible to Manager’ won’t show if it’s the manager who downloads the document. This will add the document to the employee's personal document tab.